Very low levels of hormone. Used to treat heavy, painful periods. 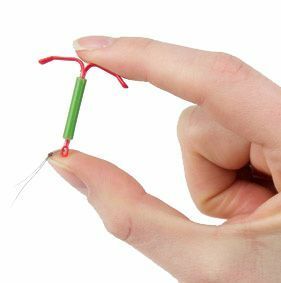 The hormonal coil (the IUS) is made of plastic and releases a small amount of progestogen hormone which is similar to one of women's own hormones. It's put into the womb by a doctor or nurse and lasts up to 5 years. The IUS can be wonderful in helping heavy or painful periods. The IUS usually makes periods lighter, shorter and less painful. Some women will have no periods at all, especially if they have been using it for a while. Some women get irregular bleeding which is not harmful but can be a nuisance - it's worth seeking advice if this happens. The IUS can be painful to put in, but is usually easy to take out. How much effort is the IUS? The IUS is put in by a doctor or nurse at a GP surgery, sexual health clinic or family planning clinic. It takes about 15 to 20 minutes to put in. The fitting can be painful, and it’s common to have some pain and bleeding for a few days after. Once fitted, the IUS is effective for between 3 and 5 years, depending on the type. How effective is the IUS? The IUS is more than 99% effective – if 100 women use it for a year, less than one will have an unplanned pregnancy. The IUS releases a small amount of progestogen hormone which thickens the fluid around the neck of the womb (which stops sperm getting to an egg), and makes the lining of the womb thinner so that a fertilised egg can’t settle and grow.